Recordonline.com: Opponents of a controversial proposal to create 43 sites between Kingston and Yonkers where barges and tugboats plying the Hudson River could anchor celebrated when the U.S. Coast Guard announced last month a suspension of the plan while it undertook a risk assessment of the river and its ports. 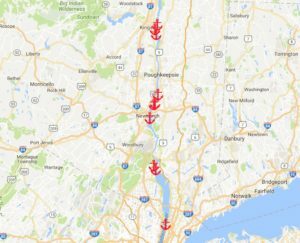 Those same opponents are now demanding that the Coast Guard give equal representatives to Hudson River towns and municipalities when it chooses the workgroup that will oversee the study. 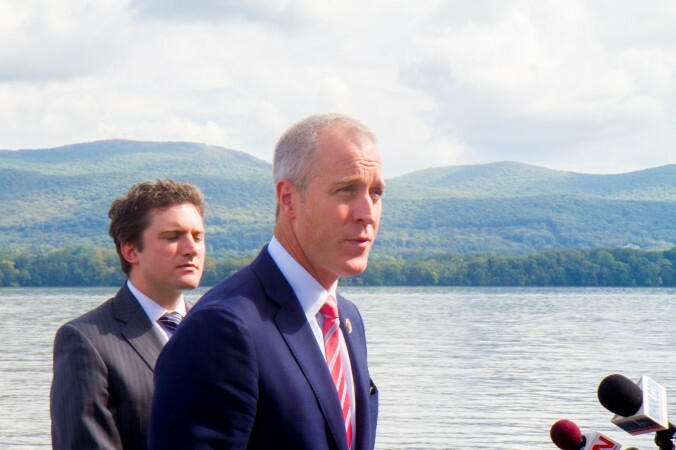 While the process calls for “waterway users” to represent 60 percent of the workgroup and the balance “stakeholders,” U.S. Rep. Sean Patrick Maloney, local officials and environmentalists gathered at the City of Newburgh’s waterfront on Monday to say they will demand that the mix be 50/50. Maloney outlined four principles: the inclusion of local representatives; a reliance on science; a consideration of the river’s needs and a transparent process that would include public hearings. “We’re not taking our eyes off this for a second,” said Maloney, who has sought to kill the plan through federal legislation. “We are not going to be hoodwinked, we are not going to be railroaded and we are not going to be left out of this process.” Read more.